You should always have control over your health care decisions. Unfortunately, you could suffer from a condition that leaves you unable to speak for yourself. To prepare for this situation, you can enact a power of attorney to appoint an agent to choose treatment that you specify in the document. 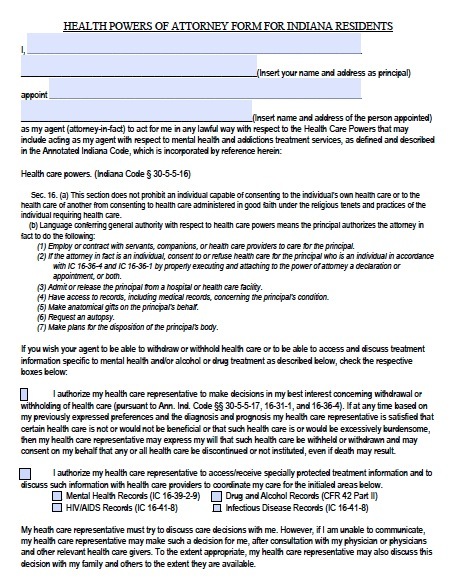 If you do not use this document to specify which treatments you want, a court could appoint your spouse, parents, an adult child, or adult siblings as your healthcare representative. Many people would prefer not to live in a state of permanent unconsciousness without any real independence, and a power of attorney can ensure that you will not have to. This document must also be signed in a notary public’s presence. You can revoke the power at any time by notifying your agent or healthcare provider verbally or in writing.